Are you an African-American man? You should read this! 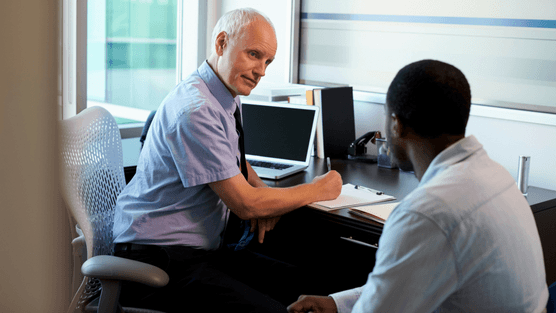 Let’s dig deep down this subject and find out why experts say that black men aged between 28 and 56 are more likely to develop preclinical—or asymptomatic—prostate cancer than men of other races. First of all, the University USC’s Keck School of Medicine from Los Angeles has just announced that is leading a $26.5 million effort to investigate better why black men are at higher risk for developing more aggressive forms of the disease. This study has the support from the National Cancer Institute, the National Institute on Minority Health and Health Disparities and the Prostate Cancer Foundation. Over 10,000 African-American men will participate in this multi-institutional study based on the investigation of how social stressors and genetics affect the development of prostate cancer. Also, social stressors such as discrimination, socioeconomic status, education, early life events and where men live will be assessed via an online survey. “It’s a health disparity that needs to be addressed. Considerable money, time and effort has gone into studies in men of European ancestry; it is time for a large-scale effort devoted to men of African ancestry.” said the project’s principal investigator, Christopher Haiman, professor of preventive medicine at the Keck School. If you are a black man aged 45 and you’re overweight, you might have a higher risk of being diagnosed with prostate cancer. Most men don’t have any symptoms, but it’s recommended to get screened once a year starting at age 45, and twice a year if results show a rise in PSA levels. This step is so important because it offers you the chance to catch the cancer before it spreads outside the prostate or grows to an advanced stage. Also, don’t ignore any of these symptoms like blood in the urine, pain in the back, hips or pelvis or even unexpected weight loss. Even if the higher rates of prostate cancer in black men isn’t new, you can prevent the disease once you get screened. African American men are 1.7 times more likely to be diagnosed with prostate cancer than white men. Prostate cancer is the second leading cause of cancer death in African-American men. According to the National Cancer Institute, in 2010, an estimated 217.730 men were diagnosed with prostate cancer and 32.050 died of it. If someone in your family has been diagnosed with prostate cancer, your risk increases. Talk to your doctor and get screened! According to the American Cancer Society, 6 out of 10 men ages 65 and older are diagnosed with prostate cancer. Obesity has been shown to increase the risk of more-aggressive prostate cancer, but not of less-aggressive tumors. Lower levels of vitamin D could contribute to the higher rates of prostate cancer in African Americans, as vitamin D deficiency is more common in African Americans. Eating a healthy diet, try to maintain an optimum weight, exercising regularly, all of this will contribute to reducing your risk of prostate cancer among other benefits. Black men, with or without prostate cancer, have been found to have higher PSA levels. The regular PSA screening reduced the rate of prostate cancer mortality by half over 14 years. According to the American Cancer Society, prostate cancer is diagnosed in about 164,000 American men every year and it kills about 29,000 per year. Also, the risk of dying from this disease for African-American men is about 4 percent compared to about 2 percent for white men. All these facts issue a word of warning that shouldn’t be ignored! Talk to your doctor about screening if you’re concerned and don’t let other negative thoughts come over you. It’s important for all men, especially for black men to be informed, to learn about prostate cancer, risk factors so they can take care of themselves, raise awareness and help others with meaningful details about this disease. For any questions that men may have regarding the prostate cancer, you can contact Dr. David Samadi and set up an appointment at prostatecancer911.com.